Texas' preeminent industrial commercial pump and compressor supplier. Our shop handles the repair of all models, custom fabrication, installation, field maintenance and unit rebuilds for several Fortune 500 companies throughout Texas. From manufacturing to medical, automotive to oil and gas, we have the equipment needed to get the job done, and the technicians to ensure that your company never slows down. Our factory trained technicians receive constant training to ensure that you get the best service available in Texas. We make it our mission to ensure the success of our clients by making sure their equipment is running at top efficiency and by reducing downtime as much as possible. 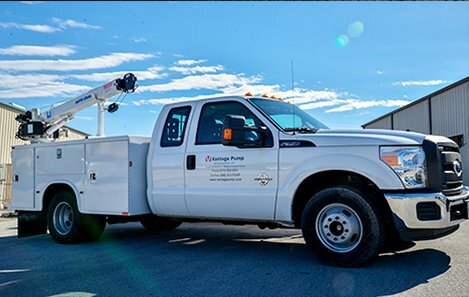 “At Vantage Pump, we strive to ensure we are always prepared to meet the needs of the most demanding industries in the region." At Vantage Pump, our technicians have the knowledge and experience to get you up and running and make sure you stay that way. 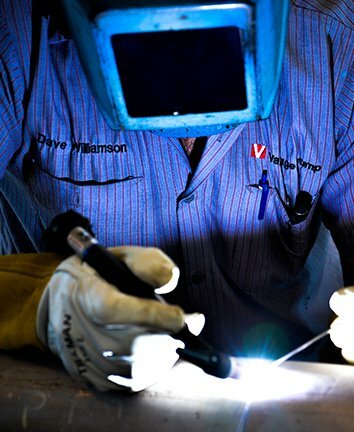 Since 1988, Vantage Pump and Compressor, Ltd. has been serving central and south Texas with high-quality equipment. Our product lineup includes fluid pumps, air compressors, blowers and vacuum pumps and systems. We are committed to providing reliable products, expert service, and dedicated customer support. Our reputation of excellent service has led us to become an important part of the industry network in Texas. At Vantage Pump, we also supply replacement parts and support products for a variety of industrial and commercial products. We provide both in-house and in-field services including fabrication, unit rebuilds, system troubleshooting and other repairs. With 30 years of experience, we continue to meet the needs of manufacturing, oil and gas, and healthcare industries.